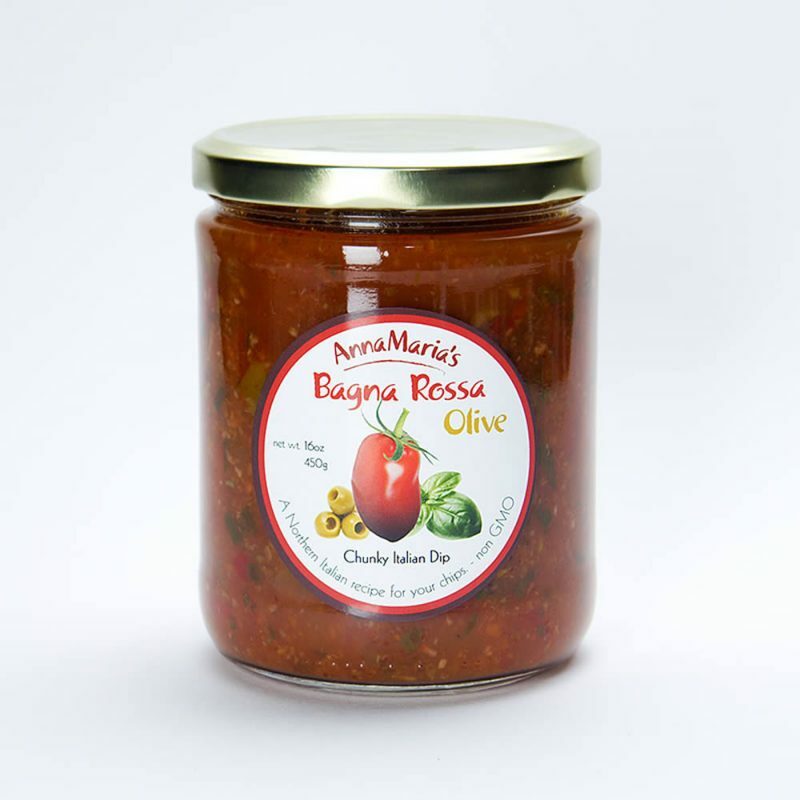 We add a chunky olive and caper tapenade to the tomato richness of our Bagna Rossa. Great for chips, on sandwiches and as a side to your meat and fish dishes. Diced tomatoes, onions, peppers, carrots, tomato puree, black olives, green olives, garlic, olive oil, balsamic vinegar, white vinegar, water, basil, capers, salt, citric acid. Includes 4 Italian jams and 3 bagnas.